Pyramex Regalia (formerly Sephora) Safety Glasses are designed just for women. Their stylish design allows you to wear them for work or play. These lightweight, fashion forward women's safety glasses feature a wrap-around design to fit all faces while providing full eye coverage and excellent side protection. 100% polycarbonate scratch-resistant lenses provide 99% protection from harmful UV-A and UV-B rays. 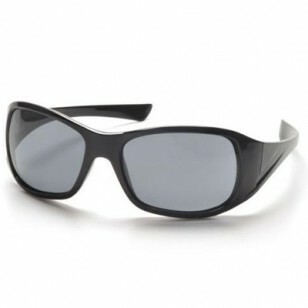 Lens: Gray Anti-Fog - Offers protection from excessive glare. Commonly used in outdoor applications.